During a divorce, it may seem like you spend the majority of your time trying to figure out who gets what. From joint bank accounts, combined loans and new kitchens to broadband and television packages, many people often underestimate how many financial commitments they have made with their spouse. The matrimonial home is generally considered the most valuable and largest asset within a marriage. Selling a house after a divorce occurs in about a third of separation cases, as homeowners can no longer afford the rent and upkeep on their own. In this post, we help you understand your rights, who should get what and when you can sell. One of the major questions that separating couples have is who gets the house in a divorce? 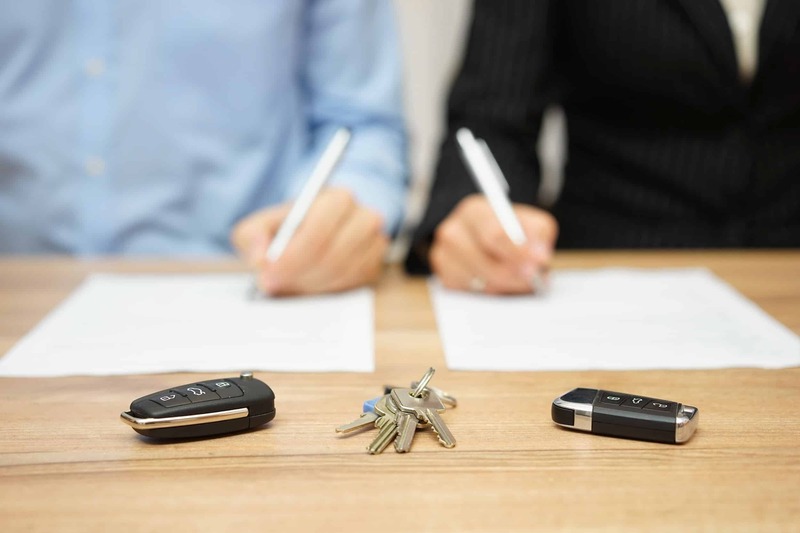 How you and your spouse split your assets can often be decided without a solicitor, but this depends on how easily you can both discuss financial issues. Can I sell my house before divorce? If you want to sell a house before your divorce is finalised, either due to financial difficulties or both parties wanting to move on as soon as possible, there are plenty of ways you and your partner can divide your money and property. Both parties can agree to sell the home and move out. The sale proceeds are divided according to any agreement in place when you bought the property and can be put towards buying another home for each of you. One party agrees to buy the other out. Your home will be valued and if you have the funds to cover half of this sum, you can buy out your partner’s share and take full ownership of the property. Keep the home. One partner could continue to live in the property, perhaps until your children leave school or the property market rises. Transfer part of the property’s value from one partner to the other. The partner who gave up a share of their ownership rights would keep a stake in the home and receive a percentage of the property’s value once it is sold. A court in England or Wales can postpone the sale of the home through a ‘Mesher order’. This defers the sale until a specific event, such as the youngest child turning eighteen, after which proceeds are divided in accordance with the court order. A court can also defer the sale with a ‘Martin order’, which entitles one partner to occupy the property for life or until remarriage. Selling a house during a divorce is beneficial as it gives you and your partner more time to negotiate terms and you both will receive a large payout to begin your new lives with. However, property markets are unpredictable so you may end up waiting a long time for your home to sell, which could cause issues if you want to finalise the divorce quickly. One thing you might not have considered when selling a house after divorce is the mortgage. Even if you have moved out of the family home, you need to keep paying the mortgage. If your name is on the contract, you’re liable for the whole debt, even if it’s a joint mortgage with others. If you and your partner have a joint mortgage, you both agreed to be equally liable for the debt until it is paid off, not only while you occupied the property. It’s important to contact your mortgage lender as soon as possible to tell them that you and your spouse are separating, especially if you think you may have problems keeping up with repayments. It’s also important to establish your property rights after divorce, to prevent your partner from selling, transferring or mortgaging the house without your knowledge. While it is normal for one spouse to move out of the home during divorce in order to reduce tension, this does not mean they forfeit any rights to the ownership or occupancy of the house. Both partners legally have ‘home rights’ until the divorce is finalised or until a financial settlement is made. If your spouse owns the property in their name alone, you can protect your property rights after divorce by registering them with the Land Registry. It’s important to do this to ensure your partner can’t sell, transfer or mortgage the property without your knowledge. If you’ve held onto the marital home after divorce and are looking to sell it, perhaps to downsize or relocate, it may be worth considering a quick property sale company like Good Move. Good Move buy any house for cash regardless of its condition and pay all seller fees, aiming to complete a sale within two weeks. Contact our experienced surveying team here at Good Move, who will be more than happy to help you sell your property quickly.